It’s an exciting time in the Australian trail and ultra scene right now. We’re seeing an increasing number of ‘quickies’ from the track and road try their dab hand at running off-road and on the trails. Marty Dent is the big name on everyone’s lips, having already smashed up the Kepler record earlier this year. 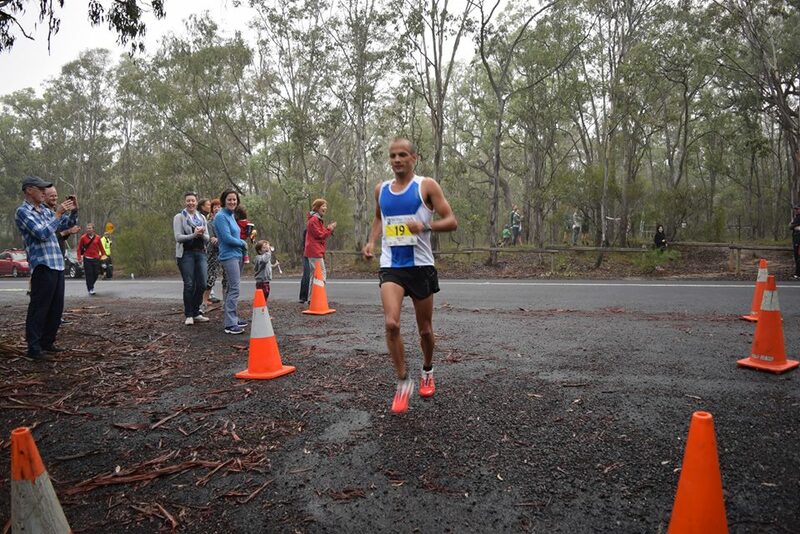 It’s fair to say that there were high expectations coming into Six Foot Track this weekend, one of Australia’s oldest and fair to say, fiercely competitive trail races that sees a dearth of talented sub 35min 10km guys duke it out and hold on as long as their quads will let them. Marty’s race didn’t quite go to plan, with a slight wrong turn that ultimately may have cost him the race, but probably not the record that everyone (including us) expected – but that’s trail running! It just goes to show how good Ben Artup’s 3hrs 15mins really is. No-one can touch it. But although the race record didn’t fall, we’re now seeing an increasing number of runners clocking in under the sub 4 hour mark, which a few years ago would have seen barely half the number of runners achieving it compared to this year. In short, it’s getting harder and harder to break into that top 50 and people are getting quicker. So what’s changed? Yes we’re seeing more of the quicker guys moving across, but (and I speak from personal experience here), we’re seeing many more weekend warrior runners incorporate increasing amounts of speed work into their training programs too. As I got older I came in and out of the sport. Motivation was tough as I was more concerned with university and work than running well. That said I managed to be relatively consistent for a number of years in the 1,500m and came second at National Champs in 2003, as well as third in national XC champs in 2004. In my final year of track I went to longer distances, purely for interests sake and managed a 29:06 for 10,000m and 13:49 for 5,000m. What led you to start turning your hand to trail and ultra running? He’s quick, but he still lacks a decent pair of calves! I gave away running in 2006 and spent some time trying to get fat and develop some calves! I managed to gain some body mass but the calves evaded me! Most of my friends are runners so I was still ‘around’ the sport and would go for the occasional jog. Every 6 to 12 months I would find myself with some spare time around work and would manage to string together a few months of training and get relatively fit. I would then race something, then disappear for a while again. This cycle continued until May 2013 when I was at The North Face 100. I was there in the capacity of a producer, as my company was filming the event for TV. I saw how incredibly friendly and positive the atmosphere was and discovered how open and bloody nice trail runners are! The likes of Andrew Tuckey, Andrew Lee and Brendan Davies were so positive to speak too, plus the whole vibe or ‘Mabo’ around the event is inspiring. It made me fall in love with running again and realise that it’s not always about winning. From that day I decided I would like to one day run an ultra…. when, I didn’t know. You’ve had some exceptional results to date, how have you found the transition? It has been relatively easy. Relatively! I’ve asked a million questions of Sean Greenhill, Brendan Davies and Andy Lee among others. They’ve all been incredibly helpful in telling me how to approach training and what events to do. The biggest difficulty has been the lack of hills or trails I have access to. Being a city dweller I do all my running in Centennial Park, which lacks the specificity I would prefer. I’ve also found the effects of long runs quite hard to recover from. I’m use to feeling good on Mondays and smashing out fast stuff on a Tuesday. Now, I’m always sore! Tell us a little more about your race at Six Foot Track. I was terribly worried beforehand that my high volume for the last 5 weeks would bring me undone. It certainly made things not as pleasant as I’d like but it also took the pressure off. I went into it thinking that I’d use it for a good, hard training run. I’d go out hard, then let the wheels fall off and condition my body to being depleted and fatigued. The wheels did come off, but thankfully I’d done enough early in the race to hang in. I was very lucky that Marty went the wrong way and Alex decided to pick some flowers and have a picnic in the first couple kilometres! My training isn’t on a typical weekly cycle. I’ve only recently moved into a more ‘ultra’ specific phase having spent a few months just racking up some miles and getting fit. In the months ahead I will essentially look at doing a three-week cycle. This allows for a more balanced and comprehensive approach to training and recovery. Within each cycle I will look to have one very long run (50km+ in the mountains) one fast long run (42km+ at approx 4min/km or quicker) and one long run double (Saturday and Sunday long runs of 30 to 40km). Then within this block there will be one or two thresholds e.g. 16km hard or 30 minutes hard during a 16km run). Wednesdays are generally a longish run of 20-25km. On Tuesdays or Saturdays I will do a fartlek or long intervals totaling approximately 6 to 8km excluding warm up/warm down. Total mileage will be around 170-180km/week. How important do you feel the speed work has been towards giving you the edge in trail/ultra running so far? My belief is that by running as much of your training as possible at under race pace, you are better equipping yourself. Essentially, if you can run 5km in 14:30mins, then you can run 30mins for 10km. If you can do that, then 65minutes is achievable for a half. So when it comes to running 4:30min/km for 50km, it feels a lot easier than if my maximum speed were only 20mins pace for 5km. The speed work allows you to increase you ability to run fast over shorter distances, improves your V02Max and makes running longer, slower distances much easier. It means you recover quicker after running up a hill in a race and also if you need to kick home in a race you can. What kind of speed sessions are you currently doing? There are two types of speed sessions. One is very speed specific and aimed at 5km ability. The other is more distance oriented with the emphasis being on running fast when you’re fatigued. My speed stuff consists of occasional sessions such as 4 x 2mins followed by 6 x 30 seconds. Both off short recoveries where I jog. Or something like 4km hard followed by 4 x 2mins (or 6 x 1min). I also like fartleks as they mean you’re running hard for extended periods and combining anaerobic and aerobic conditioning. I think of it as being like a race where you push the envelope on a climb, then recover on the flats and downs. Ultra runners have a bit of a stereotype for being ‘bush walkers’ to some extent, what advice would you give to the middle of the pack runners seeking to improve their times? Don’t underestimate speed! Everyone talks about running long and doing loads of hills, which to a certain extent is important. But if you can get your 3km ability down, then it makes running at marathon pace a whole lot easier. Plus speed work is more fun than just racking up lots of long, slow miles. 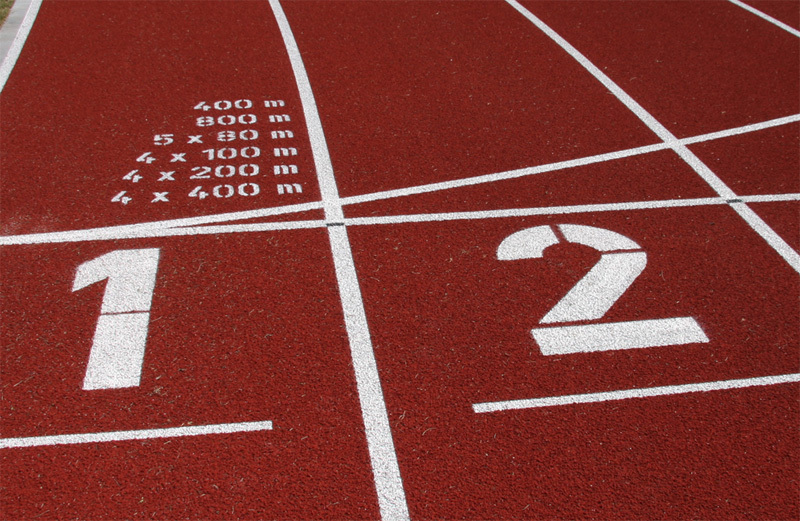 If you can manage it, get one fartlek or interval session in each week. What kind of speed/interval work should a newbie to speed work consider / do as part of their training program? Start very simply by doing half a dozen strides after your weekly easy runs. Then once you’ve done that for a couple of weeks you can move into fartleks. A good one is the famous Mona Fartlek which consists of 2 x 90sec, 4 x 60secs and 6 x 30secs, all off recovery jogs of the same duration. It’s 20 minutes of hard running. Then ease into intervals with sessions like 4 x 3mins or 8 x 90 secs. A long warm up and warm down are important for conditioning. Sometimes the warm down is agony, but that’s where you’re making some good gains. What are you gearing towards for the rest of 2014? And do you think we’ll see you become a permanent fixture on the trail/ultra scene? At the moment my plans are to do Buffalo Stampede (The shorter option!) and then I need to pick a 100km race to build towards. As I’m relatively new to this I’m taking my time and choosing races as I go, not looking too far ahead. It’s the soft option! I just want to be confident in my capacity to run 100km before I decide to do it. I’ll certainly be a permanent fixture on the trails. I love it! So good to hear David’s again running. I remember competing as a 4hurdle junior when he burst on the WJ scene. Exciting times ahead in trail running as the secret gets out to the rest of the track/road guys and girls. Not my words Adam… Direct from David himself. Many of us have been over the marathon distance countless times in training… Personally it’s around 80 or 90 for me over the last 6 years, but I don’t count them as marathons, and the guardians of the marathon club would never accept my submission. Horses for courses and we all know that what I’m referring to here is the fact that David has never officially run a certified 42.195kms course. Those marathon boys and girls are very particular about these things. Great to hear from Dave and good to have vone of the successful guys talk about vthe ‘need for speed’–got to get that red line higher to cruise longer. I think Marty would have had a good shot at the record, he certainly was planning to and well under pace when he went off. 1km off course, plus some back and still 10th best ever to river ! !The splits indicate- as Dave has also said- that the adrenaline and anger made him catch up too quickly, not to still get the record after that but to win. Great quote Dave, one of many classics from the weekend. Always good to see quality people representing the top end of the sport.